A US Navy ship in the Strait of Hormuz was forced to change directions after it came within 600 yards of multiple Islamic Revolutionary Guard Corps vessels, a US official says. Multiple Iranian vessels stopped once they came within about 600 yards of the USNS Invincible, a tracking ship, which was accompanied by three British Royal Navy ships, the official told Reuters. The Invincible and its entourage were forced to change course. The incident was "unsafe and unprofessional," the official told Reuters. He added that the Invincible's attempts to communicate over radio were not answered. The Strait of Hormuz is off the Iranian coast, east of the Persian Gulf. The official did not say where in the strait the interaction occurred. The incident comes amid increasing tension between Iranian and US forces in the Strait of Hormuz. On February 26, the Iranian navy conducted its annual drill near the area, through which nearly a third of all oil traded by sea is transported. The drill did not involve Iran's Revolutionary Guard. 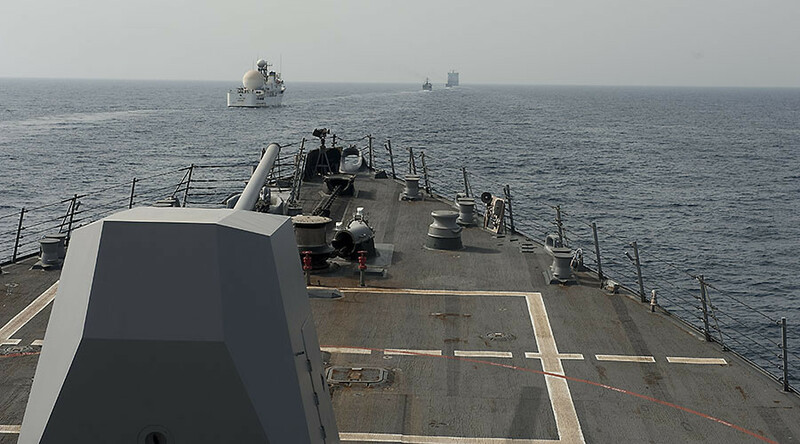 In early January, the USS Mahan, a US Navy destroyer, fired three warning shots at Revolutionary Guard vessels in the Strait of Hormuz after the boats did not heed a US order to halt its course. 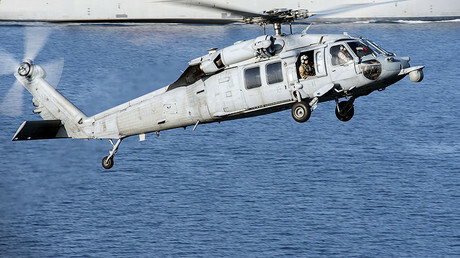 In November, a small Iranian vessel allegedly pointed a gun at a US Navy helicopter in the Strait of Hormuz, in international waters, according to the Pentagon.